The Peoples Democratic Party, PDP, is currently planning to substitute Abba Yusuf as gubernatorial candidate of the party in Kano. We reliably gathered the party national vice chairman in charge of North West, Ibrahim Kazaure, is leading the plot on the grounds that the party congress that brought Mr Yusuf was fraught with irregularities. According to sources, about 50 delegates comprising 38 party executives at local government level and party elders will converge on Abuja on today (Wednesday) to elect “best among the candidates” to replace Mr Yusuf. Party spokesman Kola Ologbondiyan could not be reached for comment. But a Kwankwasiyya stalwart, Mohammed Diggol, faulted the process, saying that date of conducting primaries has elapsed and that any congress held outside Kano is illegal. 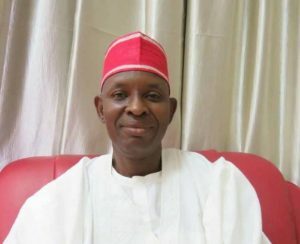 Mr Yusuf emerged candidate on October 2 in a disputed primaries held at his father in-law, Rabiu Kwankwaso’s Lugard Avenue residence, with only one aspirant outside Kwankwasiyya faction participating. Police had cordoned off Marhaba Cinema, the proposed venue of the primaries, citing court orders. Announcing the result of the primaries, the chairman of the electoral panel, Ezeogu Onouha, said they accredited a total of 4,130 delegates. He said Mr Kabir emerged winner of the primaries after polling 2,421 votes to defeat his distant second, Jafar Sani Bello, who got 1,258 votes. Mr Onuoha said Sadiq Wali came third with 167 votes, while Salihu Takai came fourth with 95 votes. 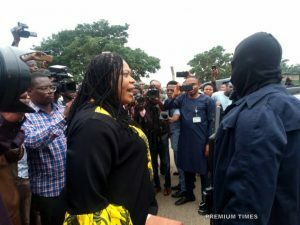 According to him, Ibrahim Ali-Amin (Little) polled 51 votes to pick the fifth position, Akilu Indabawa scored 33 votes to pick the sixth position.